Bukowskis presents a curated theme auction of fine and decorative Chinese and Japanese Works of Arts. Offerings gives an insight in the range of media and its potential that the brilliant craftsmen handled over time. Give your home that conversation piece that it needs. Näyttää kaikki 55 esinettä, jotka vastaavat hakuasi. 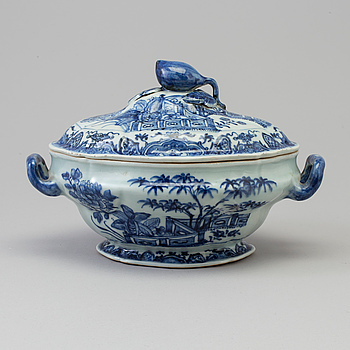 A blue and white tureen with cover, Qing dynasty, Qianlong (1736-95). 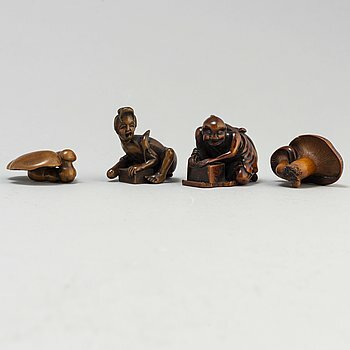 Four Japanese wooden Netsukes, Meiji (1868-1912). 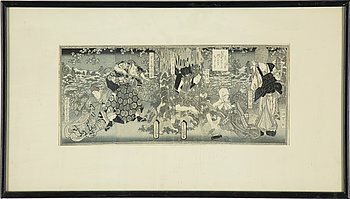 UTAGAWA KUNISADA (TOYOKUNI III) (1786–1864), six sheets from book, color woodblock prints, Japan, 19th century. 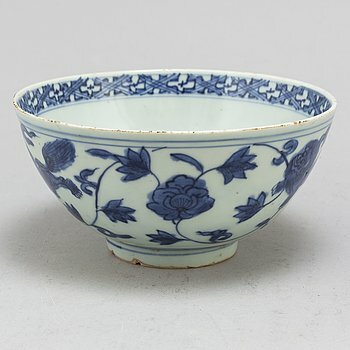 A blue and white bowl, Ming dynasty (1368-1644). Two blue and white tureen with cover and dish, Qing dynasty, Qianlong (1736-95). 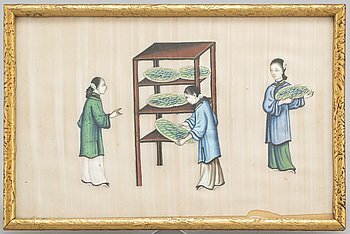 A Chinese water colour on rice paper by unknown artist, 20th century. 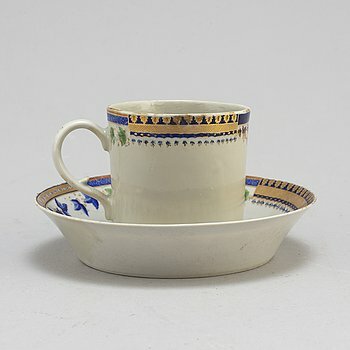 An Export 'sample pattern' cup with saucer, Qing dynasty, Qianlong (1736-95). A blanc de chine libation cup, Qing dynasty, 18th century. 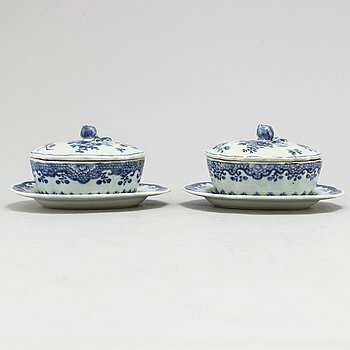 Four (2+2) blue and white cabaret dishes and two saucers, Qing dynasty, Qianlong (1736-95). A large blue and white bowl, Ming dynasty (1368-1644). A 18th century Chines porcelain tea-pot. A blue and white bottle vase, Qing dynasty, Kangxi (1662-1722). A YONGZHENG BOWL, Qing dynasty, 18th century. A Chinese iron-red and blue and white cup, early 20th century. 18 plates and one tureen, Qing dynasty, Qianlong, as well as Japan, 20th century. Two Chinese wooden carved panels, 20th century. UTAGAWA HIROSHIGE (1797-1858), after, triptych color woodblock, Japan, from 'Famous Places in the Eastern Capital', 19c. 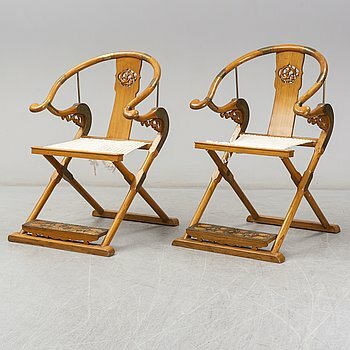 A set of 12 Chinese wooden stands, 19th and 20th Century. A blue and white miniature vase, Qing dynasty, Kangxi (1662-1722). KOSON OHARA (1877-1945), color woodblock print. Japan, 20th century. A large famille rose, grisaille and gold export serving dish, Qing dynasty, Qianlong (1736-95). Four blue and white dishes, hot water dish, a pair of plates, Qing dynasty, Qianlong and Jiaqing. A Chinese wucai vase and two snuff bottles, 20th century. A blue and white pot with dish, Qing dynasty, 19th century,. UTAGAWA KUNISADA, (1786–1864), two color woodblock prints. Japan, from 'Lingering Sentiments', 19th century. Three Chinese blanc de chine figures of Guanyin, 20th century. Two famille rose miniature vases, and three dishes, Qing dynasty, 18th century. A pair of Chinese pots with dishes, and a hat stand, 20th century. A pair of blue and white vases with covers, Qing dynasty, Guangxu (1874-1908). A Chinese wooden brush pot, 20th century or older. Five famille rose export plates, Qing dynasty, Qianlong (1736-95 ). A large blue and white vase, Qing dynasty, late 19th century. A famille rose trumpet vase, a jar with cover, Qing dynasty, 18th century. 10 famille rose dishes, Qing dynasty, late 19th century. A part coffee and tea service, Qing dynasty, Qianlong (1736-95). A large famille verte basin. A large famille verte basin, Qing dynasty, circa 1900s. A ceramic bowl, and a jar with cover, Ming dynasty, 17th century. Three blue and white dishes, and three cups, Ming dynasty (1368-1644). Three jars, and a footed dish, Sawankhalok, for South East Asia, 15th century to circa 1900. 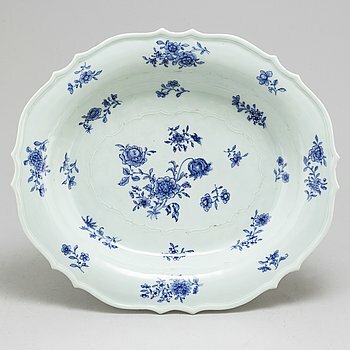 A large blue and white dish, Ming dynasty (1368-1644). A ceramic bowl, Yuan dynasty, and a jar with cover, South East Asian, 14th century. Six dishes, Ming & Qing dynasty, 17-18th century. A famille rose and powder blue "devils work" cup, Qing dynasty, Qianlong (1736-95). A Japanese woodblock cut print, 19th century. A blue and white Fitz-Hugh armorial hot water dish, an Imari bowl and two blue and whtie jars, Qing dynasty, 18/19th.